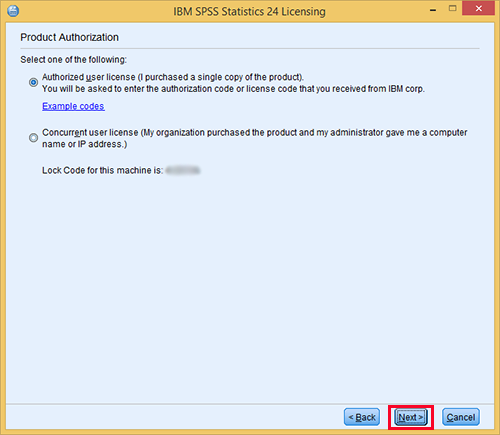 If you have downloaded a trial version of IBM SPSS Statistics and have now received your SPSS authorization code from ITS or an authorized IBM reseller, follow the instructions below to license your software on the Windows operating system. NOTE: You must be connected to the Internet to successfully complete the authorization process. 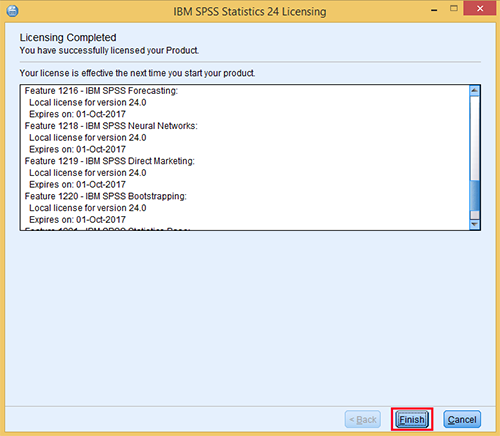 From the Program menu, click Start > All Programs > IBM SPSS Statistics > IBM SPSS Statistics License Authorization Wizard. On the Product Authorization screen, choose Authorized user license (I purchased a single copy of the product) and then click Next. 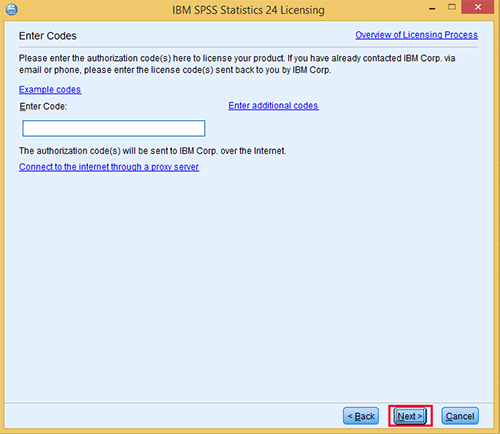 On the Enter Codes screen, enter the license code you received from ITS in the Enter Code: field and then click Next. 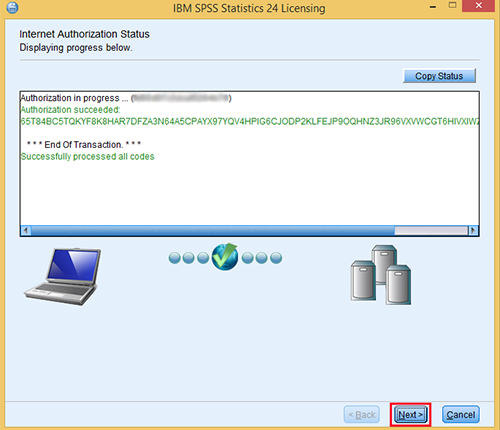 Click Finish on the Licensing Completed screen to complete the licensing process.